"Your Upper Peninsula Fishing Adventure Starts Here"
Welcome to the Sleepy Eyed Goose Resort and our Big Manistique Lake Fishing information page. For the best in Upper Peninsula Fishing, we offer to you incredible year-round fishing opportunities right here on Big Manistique Lake. Fishermen travel to our destination for an adventure like no other. Sleepy Eyed Goose Resort is located on Big Manistique Lake, centered within the largest lake complex in Michigan's Upper Peninsula. Big Manistique Lake is the largest of all the lakes in this complex. Encompassing a total of 10,130 acres, this incredible body of water has a great variety of fish for sportsman to seek. Upper Peninsula Fishing here on Big Manistique Lake is the perfect place for sportsman of all ages. Pro-fishermen and beginners alike love how easy it is to access our lake with the use of our private harbor. We also have large parking areas to easily accommodate your snowmobiles and boat trailers. In the warm season, you can consider our pontoon boat rentals, bring your own boat or fish right off the deck. 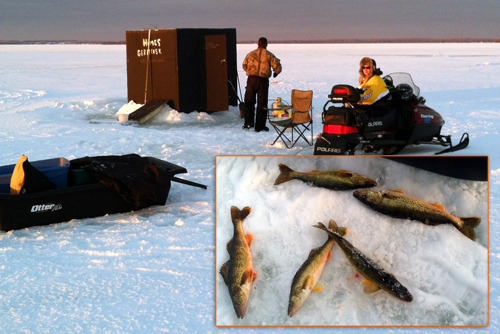 In the winter, we have some great Big Manistique Lake ice-fishing opportunities for you. 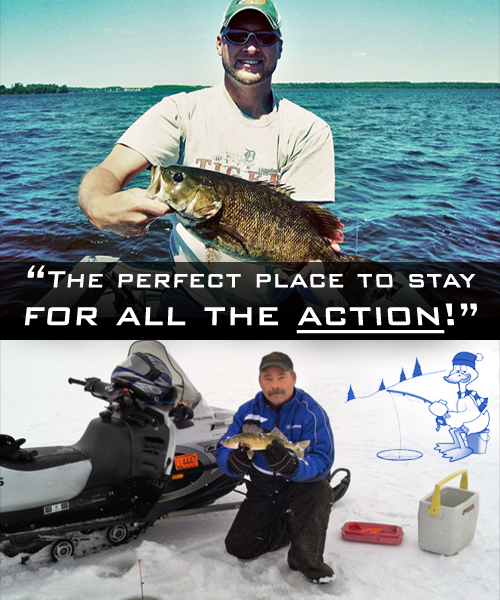 Plan your stay here and check out our Big Manistique Lake Lodging for fishermen. Curtis, Michigan fishing begins in the spring and continues through the summer and fall. The warm weather season is great for everyone seeking a great outdoor adventure. There is nothing like watching the young ones catch a fish for the very first time or catching a monster fish like the one on the right! We invite you to come and experience a place like no other. Sleepy Eyed Goose Resort has the best Curtis, MI Ice-Fishing opportunities for you, your family and friends. Bring your snowmobile, four-wheeler, tip ups, and your portable shanty and it doesn't get any easier than this! Any way you do it, its going to be fun for everyone! 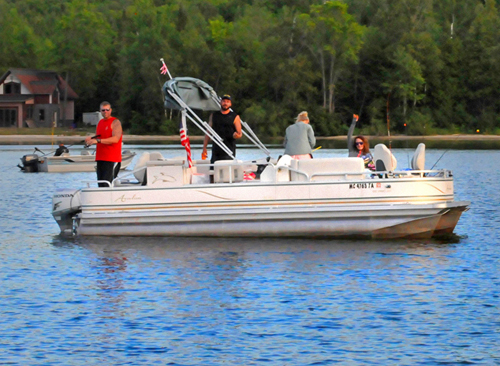 Besides fishing, there is so much to do here on Big Manistique Lake: swimming, boating, tubing, jet skiing, relaxing along or in the water, sailing, and pontooning with friends around the lake. Make sure to find your great UP adventure here with us!